For example, at the end of August my wife and I will be running a wilderness section of the Rogue River in Southern Oregon that will include a couple of Class IV rapids – with time off the water to paint en plein air with six other artists. 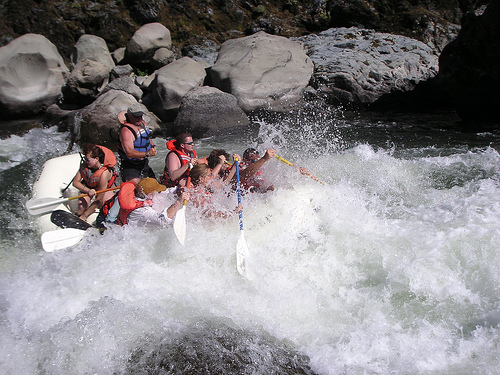 I don't want to bring my usual gear because everyone on this float must pack ultra-light and my wife and I will have to share a single dry-bag for five days. That's not much room. So I plan to paint small on this trip; meaning fifteen or so 5 x 8 or 8 x 10 panels and allowing for thirty minutes maximum for each. So to make this possible, and miniaturize the gear, I made a hand-held thumb pochade box and will leave my trusty tripod and Open Box M behind. Making a thumb box is easy, but you want it to be lightweight because the point is to hold it in your hand as you paint. You could build a box entirely from scratch or you can visit your neighborhood smoke shop and pick up an empty cigar box. If you want to build one like mine then pick out a box that looks appropriate and follow the hints offered below. My thumb box took about 4 hours to make, with the use of a table saw, a drill and a bit, some nifty friction hinges, a little glue and some C-clamps. But not much else. I also have friends who paint with these things who do little more than buy a box, cut a thumb hole in the bottom, clip a panel to the lid, and use the bottom half as a palette – which is about as stripped down as these things can get. However, I wanted something more for my thumb box. I wanted to store my paint and a few cut-down brushes in it, and to flip open to any angle. I also want the perimeter of the lid to be free and clear of obstruction so it could hold a panel larger than the box itself. All of which required beefing up the sidewalls. But this was fine. The extra structure provided a lip for the mixing palette to set into at the top of the box. I don't like to dip down into a cavity to mix my color. After I built the box I had a piece of grey plexiglass cut to fit as a mixing palette. I sanded the plexiglass to a dull finish to eliminate reflections. If you prefer to mix on wood cut a piece of hardboard or luan 3-ply and seal it with multiple coats of spar varnish. Some artists also drill a hole or cut off a corner of the palette so it can be easily lifted out of the box for cleaning. Since my box ended up having a thumb hole underneath modifying the palette wasn't needed. It can be pushed out as needed. The inside of my box was subdivided to hold eight or nine standard 37 ml tubes of paint and a couple of brushes cut to fit. The long compartment can also accept a single 150 ml tube of white paint. But I don't think I'll use it for that reason because a large tube and brushes won't fit into the space at the same time. It turns out a deeper cigar box is needed for that. Of course, when I use this box everything except the palette will come out to keep it feather light. Some folks go to the effort of engineering panels slots in the lid, or modifying rubber bands or bungee cords to strap a panel in place. But I think those solutions end up being overly complicated or limit the panel size a thumb box can support. So instead, I opted for simplicity and am experimenting with metal office clips that bind loose document pages together. These clips come in different sizes and one of them should work for you too. The clips I found are perfect for the width of my box lid plus a 1/16 to 1/8 panel. As a final modification, I glued a thin wooden ledge above the bottom of the box lid to support the lower edge of a panel. (It is the same mod I made to my smaller Open Box M a few years ago and it eliminated the panel flutter I encountered in high wind.) The ledge is beveled inwards towards the lid and it tucks the panel tightly against the lid. Plus, the depth of the ledge holds the mixing palette in place when the box is closed. 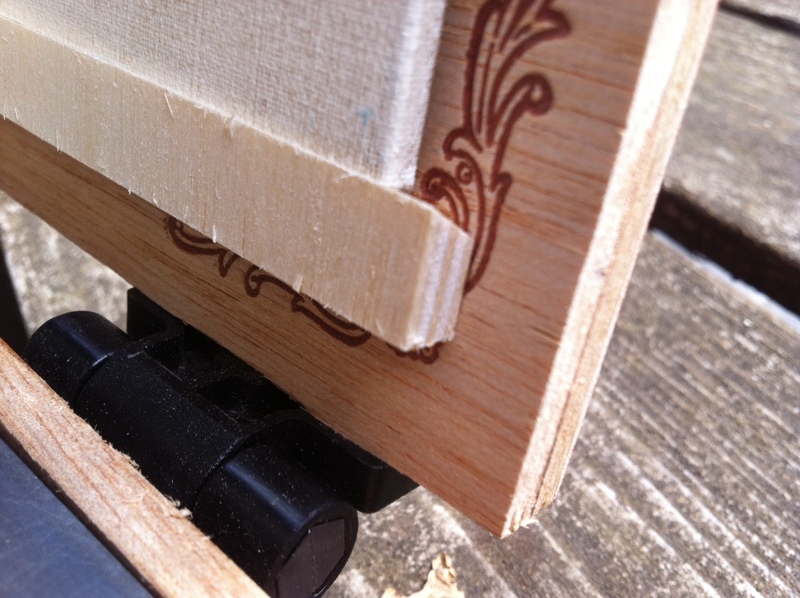 I'll use the existing cigar box latch until it breaks because, well, it's cute and I like it. I also left the decorative sticker in the inside on for the same reason...ha! The latch on the box and cool sticker you find on the inside of the lid. 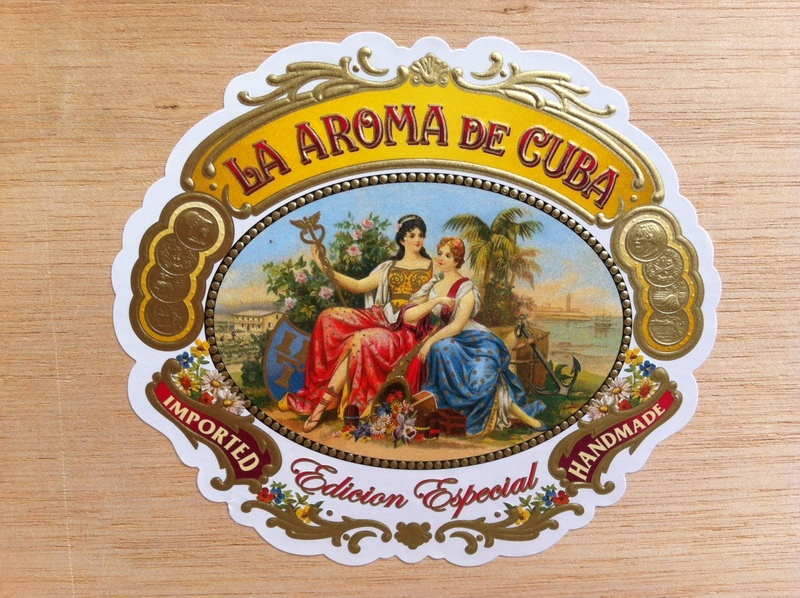 Ah, "the Aroma of Cuba"... Anyone out there who wants to go paint Cuba? I'm thinking about putting together a trip or workshop in 2015. Ultimately, the real charm of making a hand-held thumb box comes from the fact that you yourself made it, and all the mods you think up and incorporate are yours. 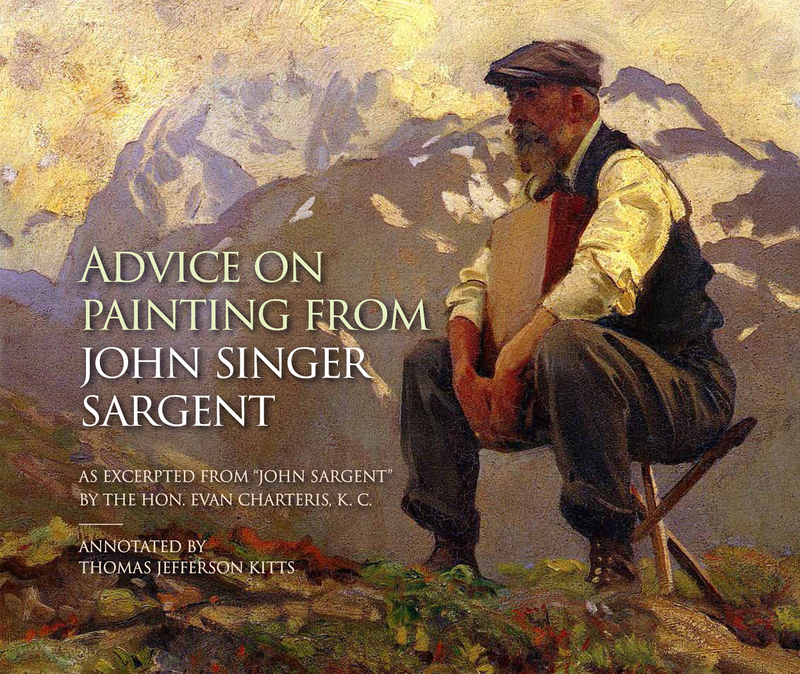 It is a maker's sort of casual hack and you can show it off to your painting friends in a bar after spending a day in the field. (Hey, you can even offer them a cigar out of it as a joke – ha!) In any case, it is always cool to personalize your painting tools so have fun with your own spin on a thumb box. And please share any ideas you come up with in the comment section below. 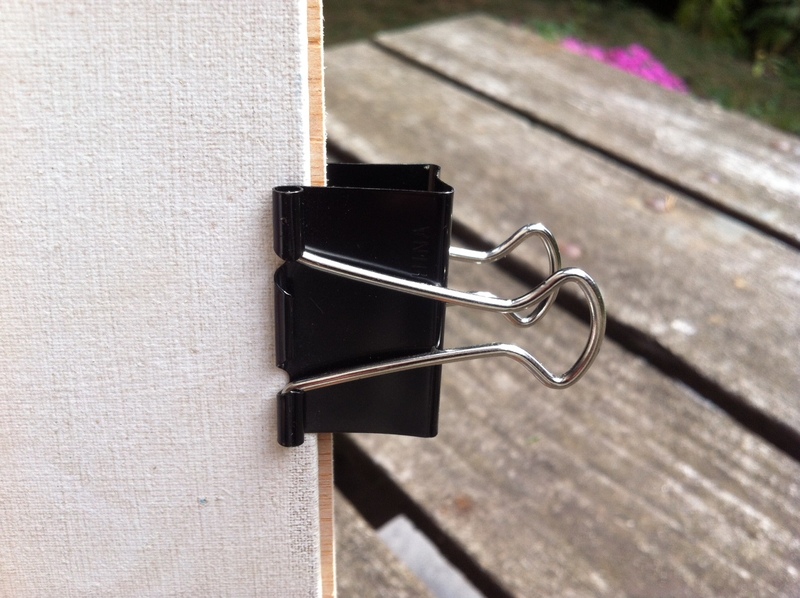 Now that you know you can make a very inexpensive hand easel, give it a try – There is little risk to your pocketbook. 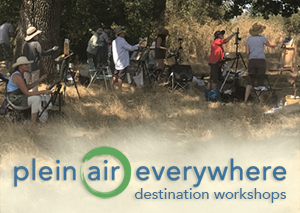 If you would like to work on your outdoor plein air painting skills with me in Tuscany check out the upper left corner of this blog! I have a crew heading are off to Italy next May and you can come too. There are five spots left so don't wait! Great find on the hinges. That solves a problem I was having for support of the lid. Thanks for sharing. For cheap cigar boxes go to your local cigar shop. Some shops jack the price up - some don't. I got mine for $1 a box - all different sizes. Excellent question. I plan to take 15 to 18 8 x 10 inch panels and hopefully use them all. Since I'll be using Gamblin Oil Colors' Solvent-free medium that has a touch of alkyd in it I expect the panels to be dry to the touch within two days. So I'll only need a panel box for six panels at a time. After each panel has dried, it can be slip-sheeted and stored flat in a rigid box. I am exploring cheap waterproof ammo boxes for that part. Nice, could use something like that for my gouache kit. Can you find lightweight ammo boxes? I had one that I used to use, but quit because it was too heavy. Sergio I'll post what I find but the only ammo boxes I found so far are heavy metal ones and I'm trying not to use them. And pelican cases are $$$$$. Did you say Cuba???!!! I've been looking at photos for awhile and think it would be a fantastic place for a paint trip. How does it work for Americans traveling there? Sharon, I have been informed that if a group goes and teaches over there it can be considered a cultural exchange, which fits certain guidelines. We will have to work with the US State Department, of course, to pull it together. And doing so is on my list after I return from Croatia next May. My strategy will be that each member of the group will be expected to teach one day while we are there. And we'll bring materials over for the students to work with. Let me know if you would like to be considered and I will place you on the contact list.